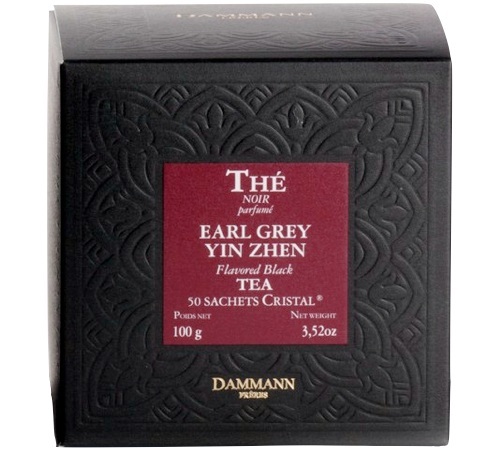 Yin Zhen Earl Grey tea (China) by Dammann Frères, packaged in 50 Cristal® sachets (2g each). This black tea enriched with bergamot essential oils will delight Earl Grey lovers! 20 Earl Grey Supreme sachets in a metal tin from Harney&Sons. A blend of black teas with bergamot essential oil. Discover the Lapsang Souchong from Compagnie Coloniale: a traditional recipe of black tea smoked with pine roots. 1 box of 25 individually-wrapped tea bags.